NEWS ARTICLE: Should you believe Motsoaledi’s hype about the ‘foreign threat’ to healthcare? A ‘foreign threat’ could be a convenient boogeyman in an election season where politicians will face questions about their failures. Or not? 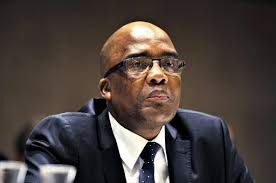 Last week, Health Minister, Aaron Motsoaledi claimed in a speech at the National Education, Health and Allied Workers’ Union’s (Nehawu) Nurses’ Summit that undocumented immigrants are flooding South Africa and overburdening clinics and hospitals.When immigrants “get admitted in large numbers, they cause overcrowding, infection control starts failing”, he said. This article offers factual and insightful information into the current number of foreign-born people living in South Africa and the inability for such a number to flood a health system. Rather this article highlights the state of the Department of Health and its entrenched the failure to provide and effective service to already impoverished South Africans.